[Elizabeth Warren] taught us that impact lay not in classrooms or textbooks, but in a society where wages have not budged in 40 years. 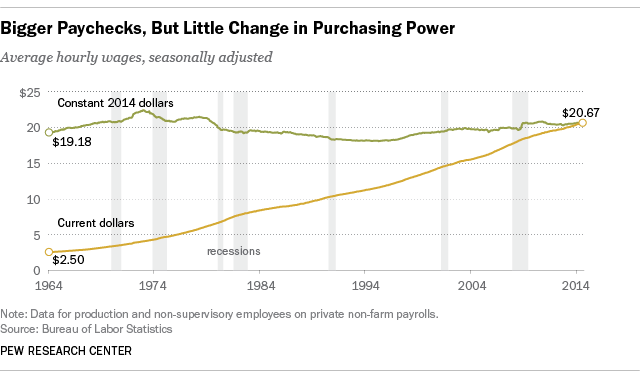 I mean look around — Americans bust their tails, some working two or three jobs, but wages stay flat. For alternative measures, see Reconciling the divergence in aggregate U.S. wage series.